He wears the number 6 and he is coming into the season “in good spirits” and motivated. 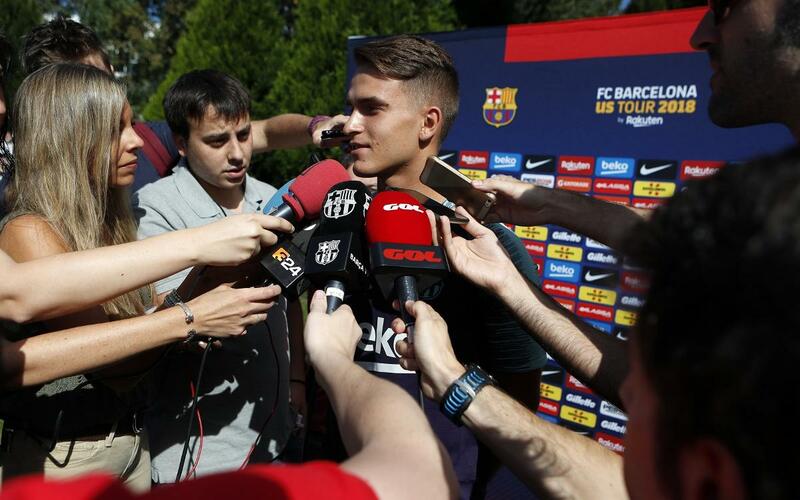 Denis Suárez is not short of goals for himself ahead of the 2018/19 season: “I want to be more involved than in previous seasons,” he said from the Nike HQ in Beaverton, Oregon where FC Barcelona are in the first day of their 2018 US Tour. The departure of Andrés Iniesta is an opportunity for the Galician midfielder to enjoy more playing time. “Important players have left in my position and I hope I can make the most of that. Above all, I have to step up and I know I have to do it. I feel I have the ability to play more than I have in the last two years,” continued Súarez.